When we say customized, we mean it! 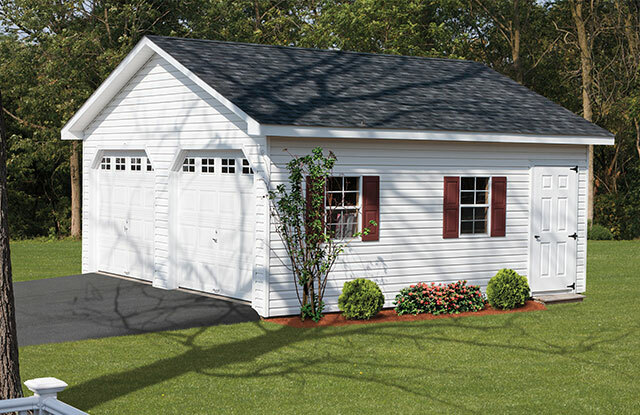 Our Amish-crafted garages can be built right on your property. Simply let us know if you want a truss or a hinge roof, space for one, two, or three cars, and additional doors and windows and we’ll plan and coordinate everything as per your preferences. Options include raised panel shutters, second-story storage, and decorative door hinges. We use architectural shingles with a 30-year warranty on our Built On Site Garages for your added peace of mind. Do you want to avoid the expense of having a garage added onto your existing home? 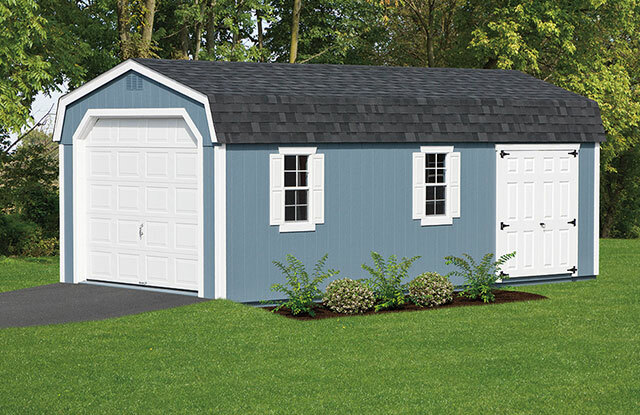 Consider a free-standing One Car Garage. Because of our attention to detail with design, your new garage can have roof style that matches your main home. With garage color options that include white, almond, desert tan, sandstone, and chocolate, you shouldn’t have any trouble choosing a style that fits in well with your other exterior elements. The rustic charm of our garages means you can enjoy added features like windows with decorative shutters. Some customers prefer upgrades such as an overhead door with glass and an adjacent ramp. Instantly add storage space to your property in a way that also enhances your home’s beauty and value with our Modular Two Car Garages. Some property owners prefer to use the first floor as a handy parking space for family vehicles and use the second story as an office, extra living space, or a place to store household items. You’ll also appreciate the ability to enjoy significant savings by opting for a modular garage instead of a traditional one that would have been a much more substantial investment. Decorative features include garage doors with upper windows and windows with adjacent shutters. Need space for multiple vehicles in one convenient location? Consider a Three Car Garage crafted as per your personal style and design preferences. 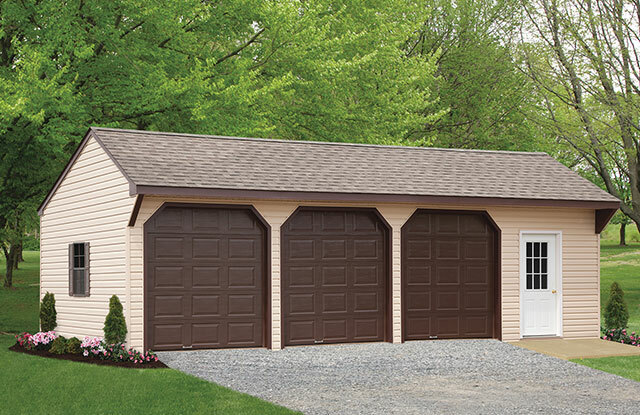 Thanks to our extensive selection with colors and architectural accessories, your three car garage can fit in perfectly with your other exterior features or structures. With a separate entry door, you access a different part of your garage if you want to save some space to store lawn equipment, garden supplies, bikes, motorcycles, or ATVs.